For fans of the color black. All essential parts of the watch are in elegant anthracite and black tones, including the hand. 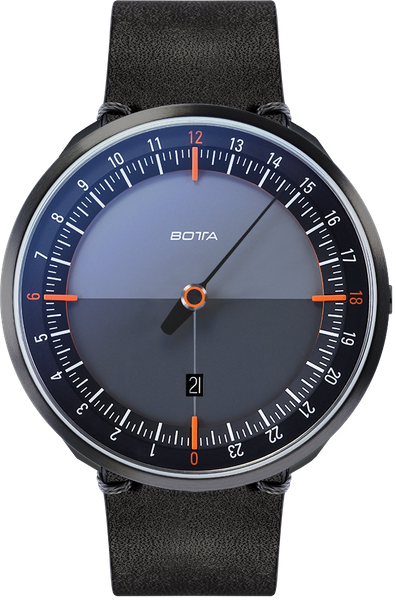 This further enhances the effect of the red-orange orientation elements on the dial and in the centre of the hand, which have been specifically highlighted. It is by far the most masculine watch in our range. 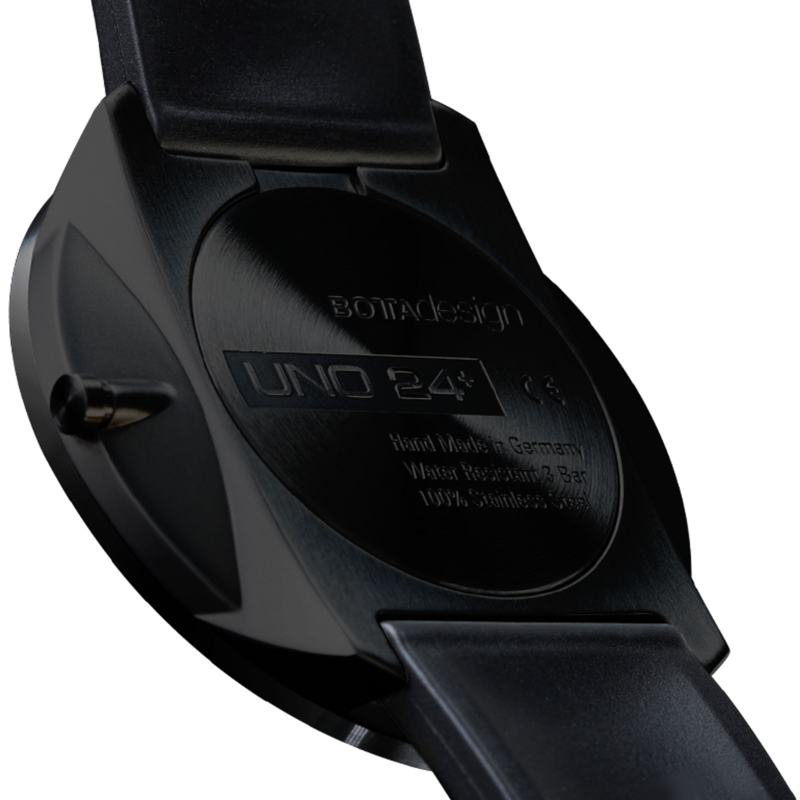 The new UNO 24+ is available with either a white or a dark dial. The UNO24 PLUS All Black Orange Quartz will be shipped . 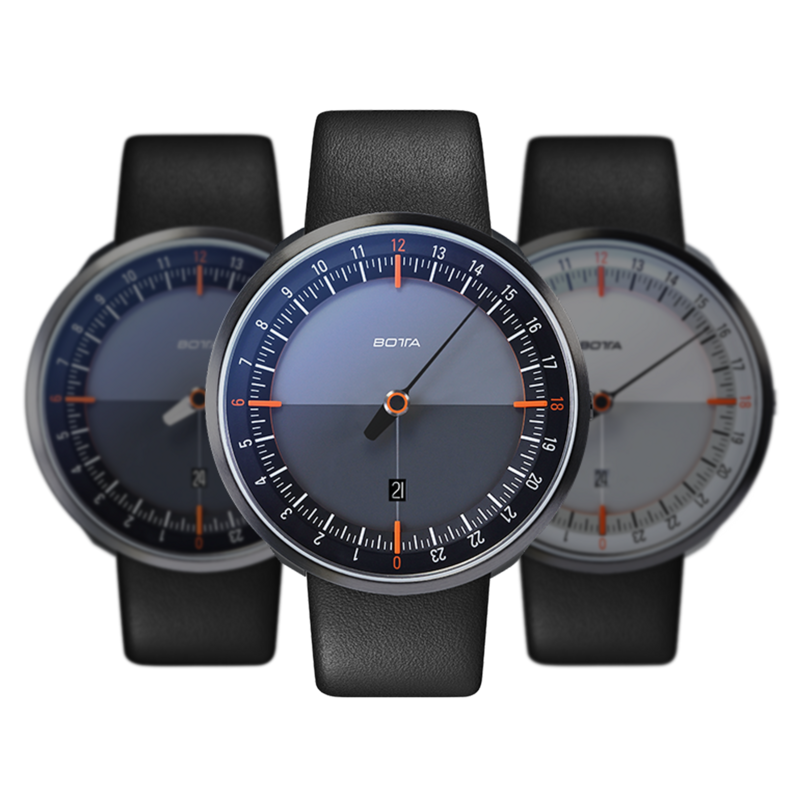 Until then, the model can be pre-ordered at a discount of € -498. Shipment will be on a first come, first served basis.